Business services platform for broadband networks featured at premier industry event. Luxcore. Changing the Way the World Communicates. Luxcore Networks, an emerging leader in optical internetworking systems has extended its core IP-over-Optical technology to focus upon the enterprise market developing a line of carrier-class Ethernet switch/routers for broadband access networks with integrated support of TDM services and customer premise devices supporting both TDM and Ethernet over DOCSIS. Today, Luxcore is unveiling and showcasing its newest products in Booth # 0133 at the SCTE CableTec Expo in Denver, Colorado, through June 23rd. Luxcore was the first company to develop and demonstrate optical routers utilizing all-optical wavelength conversion combining optical transport and switching in a single platform. Luxcore has leveraged its expertise in IP-over-Optical technology to integrate TDM-over-Packet technology acquired from Jedai Broadband Networks to provide cable operators with the ability to offer bundled traditional T1/E1 TDM voice services, high-speed Internet and advanced data and video services to small and medium businesses over the cable industry’s Hybrid Fiber Coax (HFC) networks. Luxcore is launching a superior carrier-class Ethernet switching solution for broadband access networks delivering the cost benefits of Ethernet with integrated support for TDM circuit-switched telephony to create a bridge from today’s legacy networks to next-generation IP networks. The results are unprecedented economics for cable operators seeking to tap the lucrative $100 billion business services market. Today at SCTE, Luxcore is introducing the OXR-3300, a carrier-class Gigabit Ethernet switch/router with integrated support of TDM services for broadband access networks. This is an exciting new carrier Ethernet platform which provides advanced features - layer 2/3 switching, IP routing, T1/E1 circuit emulation services, optical transport, rapid SONET/SDH-like network protection, bandwidth control and service management, multi-layer classification and Quality of Service. Key features include support for protected ring topologies and DS1/DS3 channelized voice transport. This flexibility enables the operator to select the appropriate traffic type for today’s network architecture and easily upgrade the network for future services. This versatile, compact switch reduces valuable rack space and inventory carrying cost. Also, in addition to enabling advanced broadband services in access networks, this carrier-class Ethernet switch’s ability to provision T1/E1 circuits over Gigabit Ethernet fiber rings makes the OXR 3300 ideal for wireless backhaul applications for today’s wireless carriers. The OXR-3300 generates and/or receives legacy TDM network clock timing, ensures proper clock propagation throughout the network and provides less than 50ms protection switching. Other features include support for Rapid Spanning Tree Protocol, Neighbor Discovery Protocol, Topology Discovery Protocol, port and VLAN rate control and port mirroring. It is compatible with the FrontRunnerTM 3200 allowing for seamless integration with Jedai’s install base. Also, today at the show, Luxcore is unveiling and demonstrating the XR-DOCSIS, an Enterprise Services Router, which allows cable operators to offer TDM telephony services, broadband Internet and high-speed data services from a single CPE-based device over a single DOCSIS carrier path. The XR-DOCSIS is designed to interoperate with existing cable modems and Cable Modem Termination Systems (CMTS's) allowing cable operators, using their existing cable infrastructure, to offer traditional T1/E1 TDM services, high-speed Internet and advanced data services without upgrading their infrastructure. The platform is ideal for small to medium sized business enterprises, SOHO, campus environments, high rises and residential communities. On the show floor, Luxcore will simulate a Hybrid Fiber Coax (HFC) network demonstrating both voice and data transmission over DOCSIS. Convention goers will be able to fax and make calls across this network experiencing first hand the benefit of the product’s integrated echo cancellation features and the ability to support traditional voice and high-speed data from a single CPE device over the DOCSIS standard. Luxcore Networks develops carrier-class Ethernet Switch/Routers and Optical Internetworking solutions for broadband access and metro networks enabling service providers with a full suite of traditional and advanced telephony, data, and video capabilities over existing legacy and next-generation networks. Luxcore’s carrier-class products are based on robust and scalable Ethernet and Optical technologies that offer breakthrough economics for network service providers. Since Luxcore's inception in 1999, the company has been honored for the innovation and value that it brings to the telecommunications industry: Telecommunications Magazine - 2001 Hot Startups and Lightwave Magazine's Attendee's Choice Awards for Best New System Product and Best of Show at the 2001 Optical Fiber Conference. 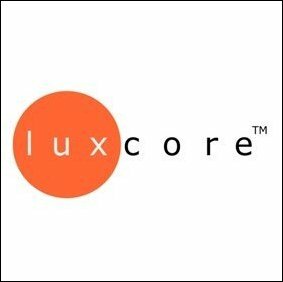 Luxcore Networks is based in Smyrna, Georgia, a city in the metro Atlanta area with engineering operations in Piscataway, New Jersey and Bangalore, India. “Luxcore. Changing the Way the World Communicates.” For more information, please visit http://www.Luxcore.com. Luxcore, Luxcore Networks, Jedai, Frontrunner, FR-3200, OXR-3300 and XR-DOCSIS are trademarks of Luxcore Networks, Inc. All other trademarks are the property of their respective owners.